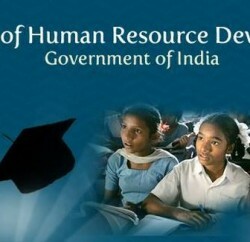 The Ministry of Human Resource Development (MHRD) has reviewed the recent amendment to the UGC (Minimum Qualifications for appointment of teachers and other academic staff in universities and colleges and measures for the maintenance of standards in higher education) Regulations, 2010. 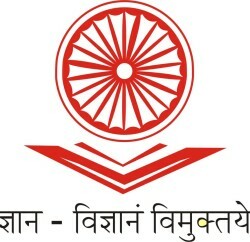 (i)	In the UGC (Minimum Qualifications for appointment of teachers and other academic staff in universities and colleges and measures for the maintenance of standards in higher education) Regulations, 2010, the overall workload of Assistant Professors and Associate Professors/Professors in full employment was prescribed to be not less than 40 hours a week for 180 teaching days. This workload remains unchanged, even with the amended Regulation. (ii)	The direct teaching-learning hours to be devoted by Assistant Professors (16 hours) and Associate Professors/Professors (14 hours) too will remain unchanged, as a consequence of the direction from the MHRD and subsequent notification by the UGC. In consonance with established academic and teaching traditions, and with a view to reinforcing a student-centric and caring approach, teachers are encouraged to work with students, beyond the structure of classroom teaching. Indicatively, this could entail mentoring, guiding and counselling students. In particular teachers would be the best placed to identify and address the needs of students who may be differently-abled, or require assistance to improve their academic performance, or to overcome a disadvantage. There are no prescribed hours for such efforts, measured either in weeks or months. While they will not be included in the calculation of the API scores, these are nevertheless important and significant activities that could be carried out by teachers. Teachers were required to allocate 6 additional hours per week, beyond the direct teaching-learning hours, on research. These hours can now be also utilized for tutorials/remedial classes/seminars/administrative responsibilities/ innovation and updating of course contents. There will be no increase in the workload of teachers, after the amendments, in comparison with the workload prescribed earlier.